Fonema Consort put on a brief but progressive-in-nature concert at Spectrum as part of the MIKROS festival. 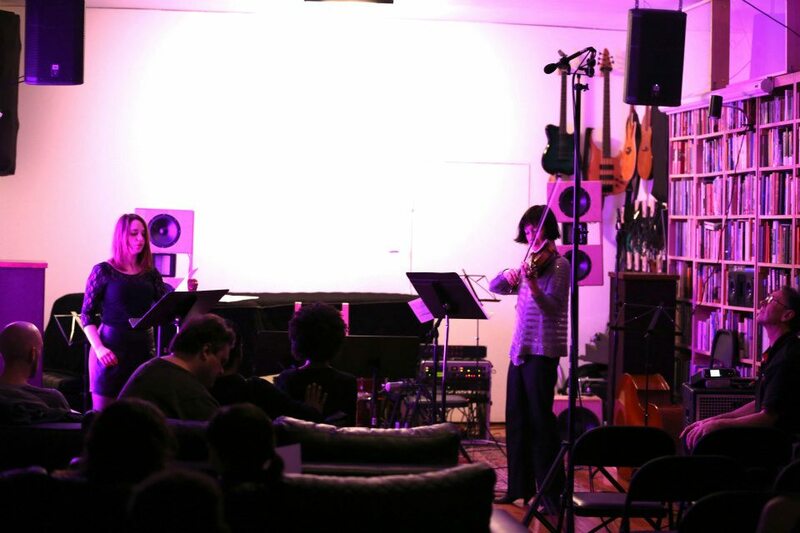 It started with a piece titled Sprits and Elements by Jonathon Kirk that featured some unannounced booming and pinging electronics alongside flute, sax and cello, as well as soprano. The essence of this piece made it clear that this was strictly an avant-garde program. Violinist Miranda Cuckson, although only appearing on two pieces this evening, was a thrilling presence, and showed that she is a great ensemble player as well as soloist on this occasion. The world premiere of Joan Arnau Pamies‘ [IVsax(op_Vlvln/c)] was a great example of this as she and the sax (Will Ferguson) and cello (Mira Luxion) rendered some of the shrillest, thorniest sound I’d heard in some time. The highlight of the evening came from soprano Nina Dante on a piece by Pablo Chin titled 7 Studies on Chapter 34, for which Chin also provided electronics. A very powerful lady-possessed performance from Dante as she rendered something that had great passion, text and dissonance, and a piece that makes Chin a composer to look out for. Have you ever stayed up all night in the company of Manhattan? Really taken in her nightly refusal to slumber. Her lights flash bright gashes into the tenebrous night. She punctures the darkness with the polychromatic twinklings of an unwillingness to rest. Peri Mauer’s Illuminations of the Night is evocative of such nights. The piece received its shining world premiere by the New York Repertory Orchestra on Saturday night in a program that also included Debussy’s Three Nocturnes and Sibelius’s Violin Concerto in D minor. The concert took place at the Church of St. Mary the Virgin just a few feet from one of New York’s greatest light shows, Times Square. Mauer’s musical nightscape pulses with the insistent rhythms and syncopated energies of late night New York. She offers up a vision of New York City swathed in terrifying darkness but lit up from within by streaks, sparkles, glints, and flashing of light. The piece beautifully exploits dark orchestral hues and textures to achieve a haunting luminosity. Mauer first began sketching the work while she was a student at the Manhattan School of Music. In her program notes on the piece she relates how she would compose until “the low-pitched screeching of garbage trucks making their early morning rounds signaled that it was time to go to sleep.” Fittingly the piece came to a close with a screeching halt, but after such an invigorating piece who could think of sleep? 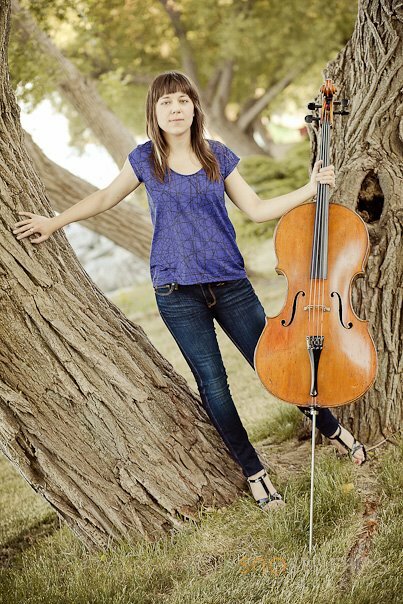 Making her New York solo concert debut, cellist Natalie Spehar put on a fantastic recital of electro-acoustic music that featured both fairly-recent pieces and some world premieres. 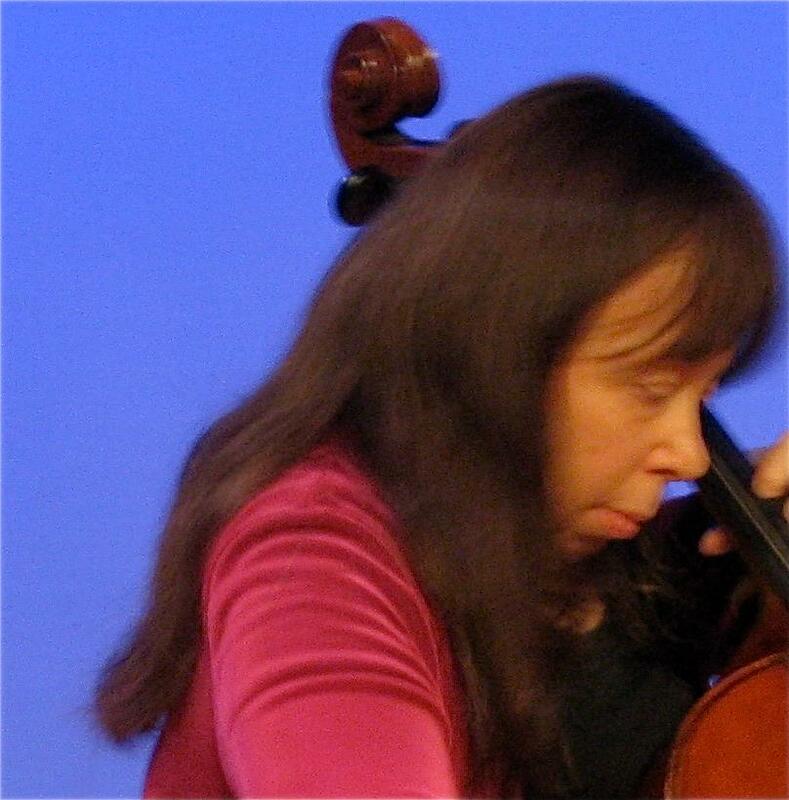 The first set Natalie played was some unaccompanied music with and without electric hookup, and among the highlights, her first piece was a premiere by composer-conductor Armando Bayolo titled Elegy: Sandy Hook. Written as a tribute to the tragedy in Newtown that happened last December, the piece featured very effectively-used sustained echoes on the cello that sounded like the memories of faces of the victims. Tribute pieces don’t often have this effect on me, but this time, it felt like it was meant to be a soundtrack for the aftermath of that day. A very astonishing piece and quite an honor to be one of the first people to hear it played in public. Another great premiere was Irish composer Finola Merivale‘s Arbores Erimus…Aut Cementum. A sequence of small movements played with varied levels of loudness and distortion, Arbores Erimus was an amazing performance of technique from Natalie, and while electro-acoustic cello is nothing new in new music, the sound of the feedback punctuation had such a rock and roll weight to it that it must certainly give some people in the new music/classical audiences a glimpse of her alternate career as a rock cellist in Primitivity. Among the second half pieces was Natalie performing her rendition of Andy Akiho‘s 21. Accompanied on this performance by her colleague from Great Noise Ensemble, percussionist Chris DeChiara (instead of steel drums, he played marimba on this version), Natalie proved once and for all that she belongs with the other cellists that tackled this piece in recent years (Mariel Roberts, Ashley Bathgate). The piece is a virtual one-man band for the cellist as they have to play cello, electronics (loops), kick-drum, handclaps, and on top of this, do all of these things in tandem with a progressively-timed tempo. The concert wrapped with what was the last of 3 world premieres, Baljinder Singh Sekhon, II‘s Stopping The World, and this was the only work of the night that featured all of the players together on the same piece (sax, bass clarinet, piano, cello, marimba, violin), and even featured Baljinder himself reading the text that inspired the work at the piece’s beginning, then the rest of the players took over with more spoken readings (albeit whispered) and basically did this throughout the performance until the second, more upbeat section of the piece. This entry was posted in Avant Garde, Concert reviews, Musicians, New Classical Music, Performance Art and tagged Baljinder Sehkon, Chris DeChiara, Fonmea Consort, Miranda Cuckson, Natalie Spehar, Nina Dante, Peri Mauer, recital, Spectrum, The Church of St Mary the Virgin. Bookmark the permalink.